30 years to the week since the release of Die Hard, Universal have dared to hijack the anniversary with this shameless remake; a sanitised version of one of the greatest action movies ever made. In the intervening years, we’ve had Die Hard relocated to just about every setting you can think of, a bus, battleship; even the Rocky Mountains. But Die Hard in a skyscraper is Die Hard, so one would think that anyone daring to make a movie as closely patterned on John McTiernan’s peerless man against the odds thriller would only proceed with this foolish endeavour if they had enough points of differentiation, and surprises, to withstand the terrible burden of comparison. It will not surprise you to learn, that unfortunately, Skyscraper is, like the titular erection, a monumental act of hubris that fails to make the case for its own derivative existence. What makes this all the more regrettable, is that one can see how it might have succeeded. The Rock may be too bulky, too Schwarzenegger like, to be an everyman, with the perceived vulnerabilities of a Bruce Willis, but he’s likeable enough, and has a likeable enough family, to at least allow us to suspend our disbelief long enough for him to kill the bad guys and save his brood. But this alone is not a strong enough foundation upon which to build a spiritual successor to the 1988 action classic. The filmmakers seem to know this, so wisely they’ve put all their creative energies into making the building the star of the show, a character in its own right, with enough high-tech wizardry and futuristic spectacle to contain a movie’s worth of set peace possibilities. It’s somewhat baffling then, that Skyscraper, having offered up a city in the sky, with environments aplenty, and technology to dazzle, does so little with this, it’s only advantage. Skyscraper feels like a movie that was ultimately cowed by the awesome spectre of its illustrious forebear. It seems, that in an effort to downplay the inevitable comparisons between it and that spectacular Bruce Willis/Alan Rickman battle of wits of long ago, obvious routes, suggested by the setup, were not taken. 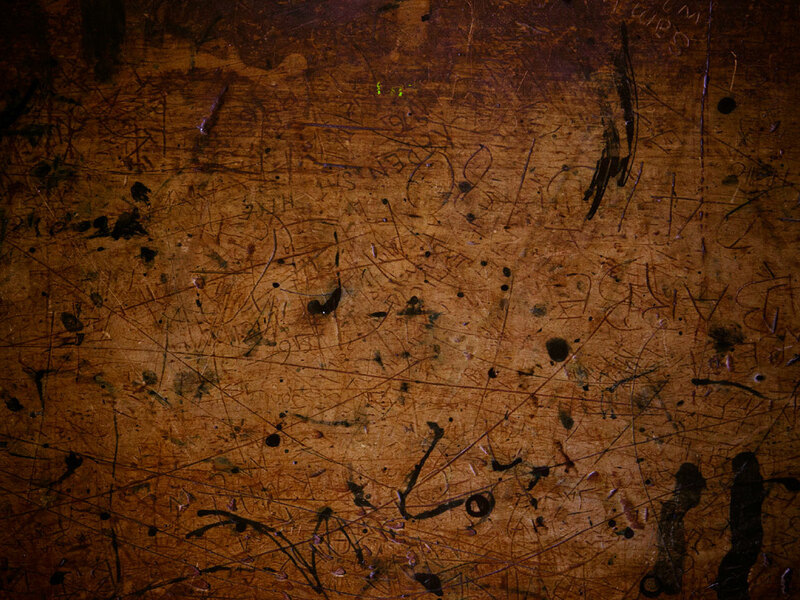 Great you say, but alas, what’s replaced the old beats are bum notes. 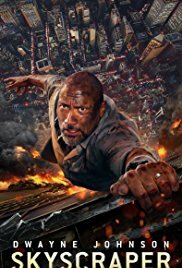 If you’re going to hire The Rock, in a bid to deliver the dumb version of Die Hard that might of been had Arnold Schwarzenegger accepted the role that went to Bruce Willis, then you better have him using his superhuman bulk to pummel the villains and usher in scene upon scene of overwrought destruction. Skyscraper thinks we’ll be content to see him survive, and battle some non-descript mercenary, though only morally speaking. Unfortunately, this leaves us with a movie that looks great but has very little going on. Our hero’s asked to manoeuver himself out of some precarious positions in a burning building, but he‘s closer to one of the forlorn guests in The Towering Inferno than Bruce Willis’s supercop. As for the villainy, it’s so generic, it could have been imported from the proposed Commando sequel Die Hard almost was. Ultimately, Skyscraper is a bleached thriller that tries to paper over the cracks with an impressive CG building and futuristic tech. The movie’s setting, Hong Kong, and the reliance on the aforementioned two elements, suggest that this is a movie made for (an imagined to be) less discerning Chinese audience, rather than the Anglo-American market of old. That explains why it’s so nondescript, so lacking in cultural personality, but it doesn’t tell us why any self-respecting filmmaker would want to make a movie like it. Certificate: 12A for building features that never become the basis for setpieces, a superhuman hero who doesn't fight, and blandifying an action classic for the undiscerning Chinese.